Looking for a friendly game of pool or snooker? 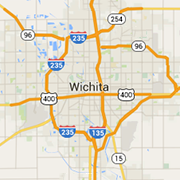 Wichita is home to some great spots to shoot for fun or in a league. Pro tables, coin tables and everything in between. Check out our billiard halls, grab some food and have a good time! Wichita's "Old School Pool Hall" since 1946. Located right on the Chisholm trail in the historic Delano District.